On Friday night, as heard on Mix 107.7, the North Lamar Pantherettes remained perfect in the district after an 11–0 win over Pittsburg. In 25 district innings, North Lamar has held their opponent scoreless in 24 of them. The only team to score was Pleasant Grove. Coincidentally that’s who North Lamar will play tonight in Texarkana. That game will be broadcast on Mix 107.7 beginning at 5:50 with the pregame. In other softball action, the Prairiland Lady Patriots are 6–1 in the district after beating Chapel Hill. Chisum lost to Winnsboro 10–4. Hannah Ford and Sydney Williams both hit home runs for Chisum. In baseball, Liberty Eylau defeated Paris 8–4. Paris is now 3–3 in district play and tied for second place. 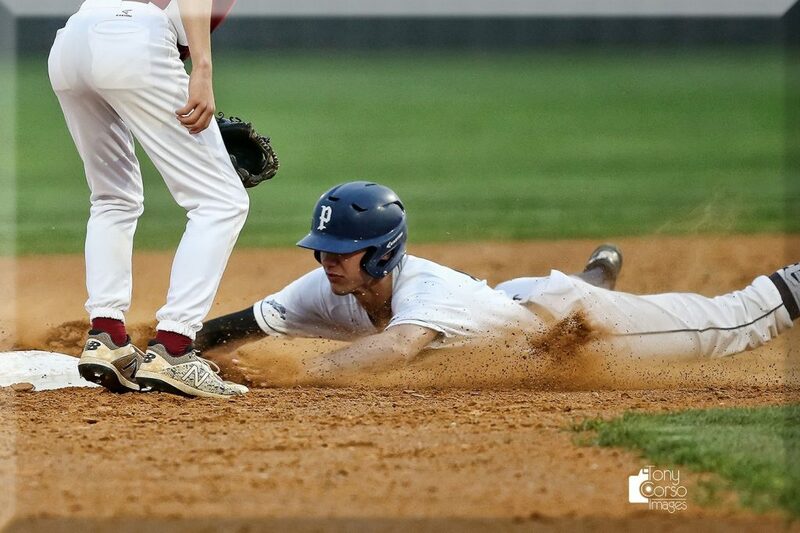 Prairiland took care of Cooper 14–4. The Texas Rangers took the second of three against the Cubs after a walk-off wild pitch gave Texas an 11-10 win. The Rangers start a three-game series tonight at 7:05 pm with Houston. It will be Smyly vs Peacock on 1490 AM and 96.3 FM KPLT. The Final Four is finally set in March Madness. After a weekend of upsets and exciting games, they are Texas Tech (1st time ever), Virginia (first time since 1984), Auburn beat Kentucky 77-71 Sunday and is taking its first trip, and Michigan State upset Duke 68-67. So, here is how the schedule shakes out for Saturday in Minnesota: Virginia will face Auburn, and Texas Tech will battle Michigan State. On the Women’s side, UCONN made it to the Final Four for the 12th consecutive year by beating Louisville, Sunday. Joining the Lady Huskies will be Oregon who beat Mississippi State to advance. Tonight, it will be Baylor vs Iowa and Stanford vs Notre Dame to round out their Final Four field. Milwaukee Brewers star outfielder Christian Yelich has picked up right where his MVP season left off. Yelich tied a major league record in the first inning Sunday, drilling a 1-0 fastball from St. Louis Cardinals right-hander Michael Wacha over the wall in right field for his fourth homer of the season. The reigning National League MVP became the sixth player in MLB history to start a season with homers in four consecutive games. The other five are Willie Mays (1971), Mark McGwire (1998), Nelson Cruz (2011), Chris Davis (2013) and Trevor Story (2016). Ageless Roger Federer became tennis’ first repeat champion of 2019 when he won his 101st career title Sunday by beating defending champion John Isner in the Miami Open final, 6-1, 6-4. Federer neutralized Isner’s big serve and won 32 of 35 points on his own serve. Michael Irvin announced in an Instagram post on Sunday that the testing he underwent for throat cancer came back 100 percent clean. The Dallas Cowboys legend had written in an Instagram post last week that he had spent two days in a Los Angeles hospital undergoing the tests. On Sunday he expressed gratitude for the outpouring “of love, support, and prayers” he has received since his post last week.